California Real Estate Market – Are You Confused? You Are Not Alone! Despite what the media says of property prices rising or falling, real estate bubbles bursting and so forth, one thing is for sure: Demand for properties near the coast in California will always be strong. For people in other states of the US and for people from abroad our marvelous climate with lots of sunshine will always be attractive. Because home prices for a median single family home have come down in California (about 30% since the peak in June 2007), it makes this a particularly attractive period in time to purchase a home. In the past few years the Real Estate market has gone through some challenging times caused by the subprime lending practices. Prices rose too much because of demand. Prices became unrealistically high and had to adjust downward. This made homes affordable once again. Interest rates are also helping the affordability issue. Interest rates are the lowest in 65 years. Today a buyer can purchase a home paying between 4.5% and 4.75% interest for 30 years. Lets look at what this means on a $500,000 loan, 30 year fixed loan with interest rates at 4.5% versus 7.5% as an example. The difference in interest rates translates into a savings of almost $ 900.00 per month for 30 years. We also should remember that interest rates have climbed to 18% before and that 7.5% would still be a great rate compared to the 18% rate. All that being said, purchasing a home today in California can be a difficult task. Until April 30, 2010 we had an $8,000 First Time Buyer Tax Credit, which created demand. Unfortunately, at the time inventory of good properties was low. Short Sales were available, and a lot of them, but they are very difficult to purchase, although not impossible. Since the tax credit expired, demand has dropped. Inventory is up, because of the lack in demand and because traditionally more people want to sell their properties in the summer. What is the prognosis for Real Estate in California in the next few years? The major government spending in the last couple of years will most certainly cause inflation!! Homes will be more expensive to buy. 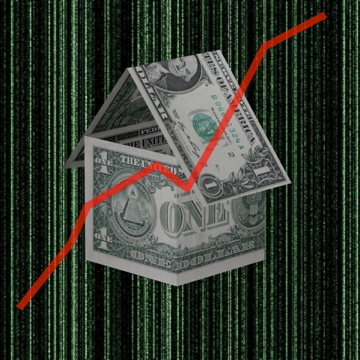 Interest rates will have to adjust upward. Homes will be less affordable. Some people will argue that all the Foreclosures that still need to be sold will cause prices to drop further. I will argue that the government will not let this happen because the future of our housing market is critical not only to our own economic recovery, but also to millions of homeowners in every corner of the country. What does this mean to Germans, and Europeans wanting to purchase a home in California? Prices are down and a lot more affordable, but will go up again in the near future. Prices in Orange County for a $ 447,500 median single family home have already risen 6.5% above a year ago, but are still 30.6% below the June 2007 peak of $ 645,000. You can find more up to date information on California housing on: http://claudiagardner.housingtrendsenewsletter.com . Claudia Gardner has a professional background in Real Estate and a bachelors degree in Business Administration. Raised by German parents in Brazil, she is fluent in German, Portuguese, English and Spanish. Claudia has lived in Newport Beach and Costa Mesa for the last 34 years. She loves selling real estate and helping people with all their real estate needs.